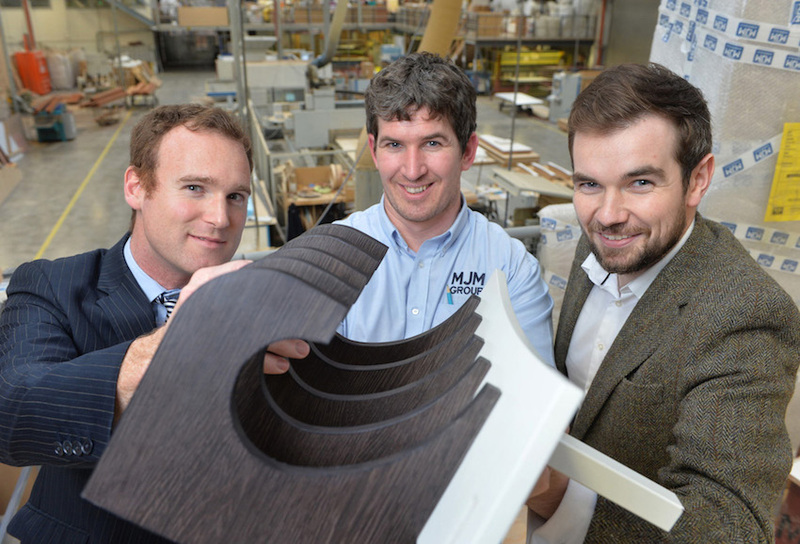 MJM Group, a leading global specialist in refurbishment and fit-out services to the marine, commercial and private sectors, expects to announce turnover in the region £50m by the end of 2015 thanks to Ulster University support. Counting some of the world's largest cruise line and ferry companies as customers, MJM Group joined forces with Ulster University through a Knowledge Transfer Partnership (KTP) to access leading engineering research expertise. The KTP placed a highly-skilled graduate into the business to drive innovations in the interior design and build solutions for the global cruise and ferry industry. The KTP developed advanced, lighter materials that can withhold extreme environmental conditions and reduce the weight of a ship's interior fit out by around 50 per cent. This is providing considerable fuel savings and reducing the carbon footprint of cruise ships. After a hugely successful two years, graduate and KTP associate, Edward Fitzpatrick, is now employed full-time as R&D Manager for MJM Group. Edward has been further recognised at the national KTP Awards 2015, which took place this afternoon in London, taking home the Business Leader of the Future award. This UK-wide award acknowledges the KTP associate who has demonstrated outstanding leadership skills. Edward Fitzpatrick, KTP Associate and R&D Manager for MJM Group said: "85 per cent of our products are exported and therefore any cost of poor quality is significant due to the global nature of the organisation. The KTP has allowed us to access engineering knowledge from Ulster University and to think more scientifically about our product development, which has improved quality control and dramatically reduced the cost of non-conformance. "The financial gains, quality improvements and innovations as a result of the KTP have not gone unnoticed by customers and this is helping MJM Group achieve preferred partner status. "The KTP with Ulster University has been a great success and I am honoured to be awarded the national Business Leader of the Future award. I look forward to further managing MJM Group's R&D activity and driving future growth." Dr Edward Archer from Ulster University's Engineering Research Institute added: "The MJM Group KTP shows how university research and knowledge can help drive innovation and growth in industry. The KTP associate, Edward, has worked with the University to develop a long-term approach to R&D for the company and I congratulate him on his award win that celebrates the success he has helped to deliver."